Released in June 2017, Heyedrate Lid & Lash Cleanser is one of the first over-the-counter hypochlorous acid sprays, with comparable ingredients to Avenova below (#2). 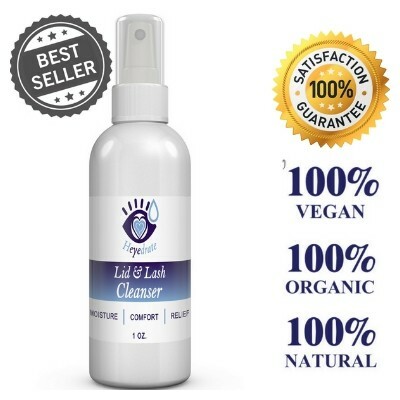 This natural, non-detergent based spray is perfect for deep cleaning the skin, which makes it great for soothing any skin irritation you have, such as cuts, scrapes, redness, swelling, burning, itching, or crustiness of the eyelid margin. This is my "go-to" product for patients in my clinic currently. It is very gentle and I have had great success with my patients. Where can I buy Heyedrate Lid & Lash Cleanser? 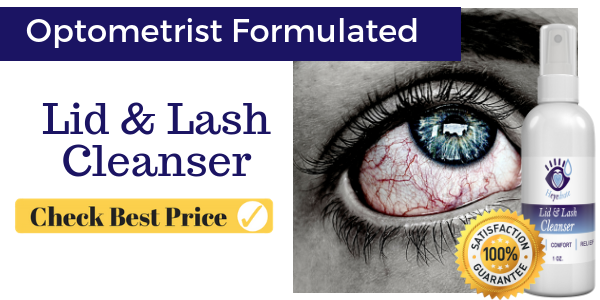 What is the price of Heyedrate Lid & Lash Cleanser? 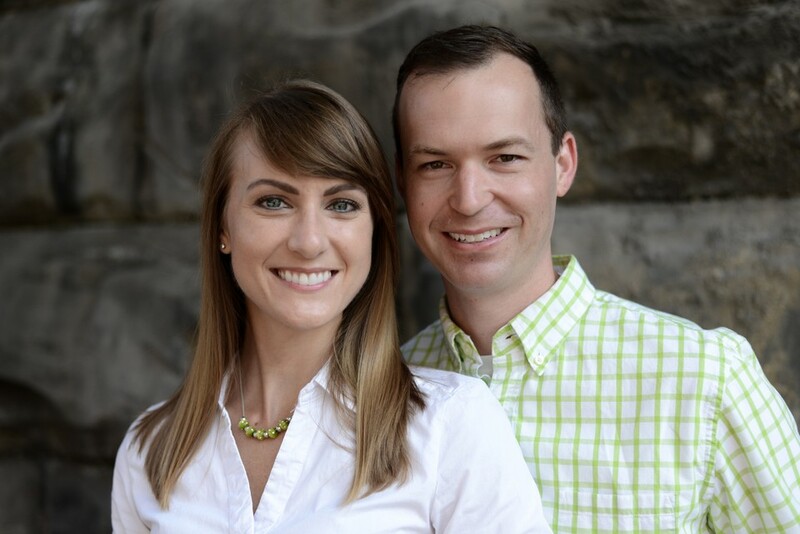 Avenova is the first prescription, FDA-approved, non-detergent based, non-antibiotic product shown to be successful in the treatment of such common eye conditions as blepharitis, styes, meibomian gland dysfunction, and associated dry eye syndrome. I used this in my clinic for two years and had great results. I now use the Heyedrate Lid & Lash Cleanser on this list for my patients because the price is more affordable and it is over-the-counter. Where can I buy Avenova? What is the price of Avenova? Avenova is available by prescription only. Check prices here. Ocusoft Lid Scrubs are a detergent based cleanser that has been used for many years to reduce redness, swelling, burning, itchiness, irritation, and crustiness from the eyelid margins. I used this before Avenova came to the market, from 2010 until 2012. With the newer products on the market, like Avenova and Heyedrate Lid & Lash Cleanser, I no longer use Ocusoft products regularly. Where can I buy Ocusoft Lid Scrubs? What is the price of Ocusoft Lid Scrubs? Check the price and purchase on Amazon. Cliradex is a great preservative-free lid wipe that contains 4-Terpineol (T40), which is an active ingredient used to eliminate demodex mites (YES, mites in your eyelash follices). It can also help with redness, swelling, burning, itchiness, and crustiness of the eyelid margin. I used this before Avenova came to the market, from 2010 until 2012. With the newer products on the market, like Avenova and Heyedrate Lid & Lash Cleanser, I no longer use Cliradex products regularly. This was mostly reserved for Demodex, or eyelash mites, but I now use a more natural product, Heyedrate Tea Tree Oil Soap. Where can I buy Cliradex? What is the price of Cliradex? Systane Lid Wipes help reduce redness, swelling, burning, itching, irritation, and crustiness on the eyelid margins. I used this before Avenova came to the market, from 2010 until 2012. With the newer products on the market, like Avenova and Heyedrate Lid & Lash Cleanser, I no longer use Systane wipes with my patients. Where can I buy Systane Lid Wipes? What is the price of Systane Lid Wipes? What do you think of this list? What have you tried? Let us know in the comments below!